 Four novellas, two previously unpublished, from the author of the acclaimed Was (1992) and The Child Garden (1990). 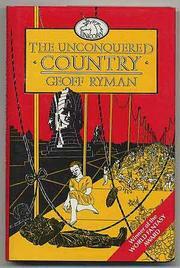 ``The Unconquered Country'' (1986), Ryman's allegorical dark fantasy about Cambodia and Vietnam, has previously appeared as a book in its own right. ``O Happy Day!'' (1985), a tale of sociobiology and feminist backlash, features a transit camp run by homosexual men to which trainloads of males are dispatched for extermination by the feminists now controlling the country. In the longest tale, ``A Fall of Angels,'' disembodied minds, the ``Angels,'' strive to rejuvenate a dying red sun by feeding it hydrogen and thus save a nearby planet's colonists from extinction; in the process the Angels are ordered to exterminate a unique and intelligent creature that lives inside the sun itself. ``Fan,'' the other unpublished story, examines the media, pop icons, and their growing influence on our lives, as a fan of an Irish singer discovers ultimately that he exists only as a computer simulation. Readers with a penchant for signs, symbols, cultural icons, or political extrapolation will find much to admire here. Others will note the artificially heightened prose, the clever mechanics, the polished inventiveness, the ulterior meanings, and they will remain emotionally unmoved.